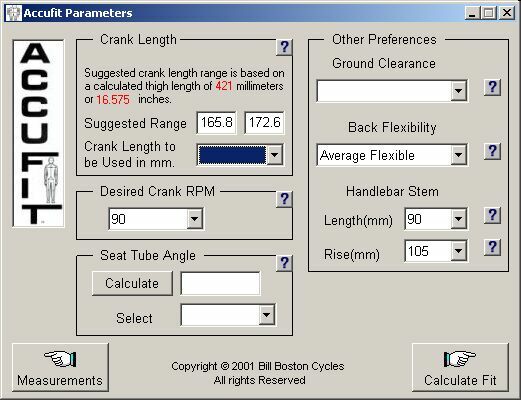 Please note that the crank length range has been calculated for you. If you don’t think that they are appropriate, use the thigh length measurements provided to double check the riders measurements. If necessary, return to the measurements form to make any necessary corrections. You will notice that some parameters have been pre-selected as these are common starting values.